Reigning from just outside of Vancouver, BC, Wise Youngblood are a Rock’n’Roll band that is quickly showing that if you’re looking for some good old fashion rock and roll, you’ve come to the right place. With a hard rock sound that takes inspiration from the west coast Grunge music of the 90’s, and the Britt rock sound of the 70’s, they are reminding everyone that Rock music lives on. 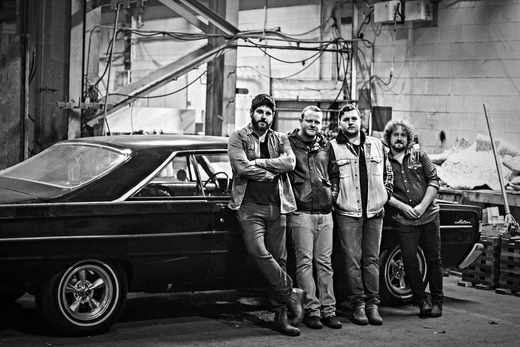 With the recent release of their "Desert Wake" EP, Wise Youngblood have garnered positive reviews as well as showcased their strong live performance by opening for bands such as Monster Truck and One bad Son. Wise Youngblood consists of frontman Kyle Stephen, who possesses a dynamic vocal range that's been compared to the likes of the Misfit's Glenn Danzig and the Cult's Ian Astbury. On guitar and bass, they have cousins Andrew Harper and Dave Buchanan, who simultaneously deliver driving lead parts to every song they play, familiar to Tony Iomi and Geezer Butler of Black Sabbath. Rounding out the foundation of the rhythm section is drummer Myles Nowik. Myles day in and day out plays technical, intricate drums fills, while building the backbone of the bands sound with his jazz background. "Desert Wake" EP is out now and available on all digital retailers such as Apple Music, Spotify, iTunes, etc.